Agnes Bernelle (Agi to her friends) was Desmond Leslie’s first wife. She was also a wartime secret agent, cabaret legend, actress, and Ireland’s oldest punk. TBorn in Weimar Berlin, Agnes and brought up in a privileged theatrical milieu. Her father was Rudolf Bernauer, a Jewish Hungarian theatre impresario and satirical songwriter. Agnes’ family fled to London in 1936 prior to the outbreak of World War II. A penniless refugee, Agnes was recruited by the American OSS (the forerunner of the CIA) to become a seductive presenter named ‘Vicky’ on ‘black propaganda’ radio stations. Her virulent outbursts were designed to demoralise and undermine German confidence. On one memorable occasion, a German submarine commander whose vessel had been lying undetected off the coast of Scotland had surfaced and surrendered without a fight. When he was interrogated about this he claimed that it was ‘Vicky’s’ programme that had made him do so – Agnes had congratulated the commander on air on his wife having given birth to twin boys. Unfortunately, the commander had not had any home leave in over two years! After a whirlwind romance with RAF Spitfire pilot Desmond, Agnes married into the Castle Leslie family as the Allies celebrated VJ day in August 1945. Mother to Sean, Mark and Antonia Leslie, Agnes settled into Glaslough by running Ireland’s first discotheque in the Hunting Lodge as well as creating ‘couture’ crochet and knitwear designs, setting up a company called Castle Shane Knit Wear which specialised in giant crochet capes and skirts. She had many local women involved in doing the knitting and sold many of these pieces in a shop named ‘Ambush’ on Grafton Street in Dublin, that she was involved with. One of the young lady’s that modelled for her catalogue was none other than a young Mary Robinson! This stylish room has beautiful views of Glaslough lake. When her marriage broke up, Agnes moved to Dublin to continue her career in radio, theatre, film, television and cabaret. She settled in Sandymount in Dublin with her second husband, renowned architectural historian and author Maurice Craig, where she spent many happy years for the remainder of her life. Aged 65, she ran away from home to front ‘The Radiators’ who later became ‘The Pogues’. Phil Chevron, Elvis Costello and Marc Almond all produced LPs of her songs, including Bernelle on Brecht and… in 1977, Father’s Lying Dead on the Ironing Board in 1985, and Mother, The Wardrobe is full of Infantrymen in 1988. When she died in 1999, the funeral was a great rock’n’roll event where even the choir sang ‘Mac the Knife’. Her autobiography, The Fun Palace, was published in 1995. She was also at one time a Creative Director for the Project Arts Centre. A new dance work in her honour, entitled Agnes, was produced and choreographed in 2014 by David Bolger, who as a child was introduced to the theatre by Agnes, once a neighbour of his, and who triggered his love of all things theatrical. 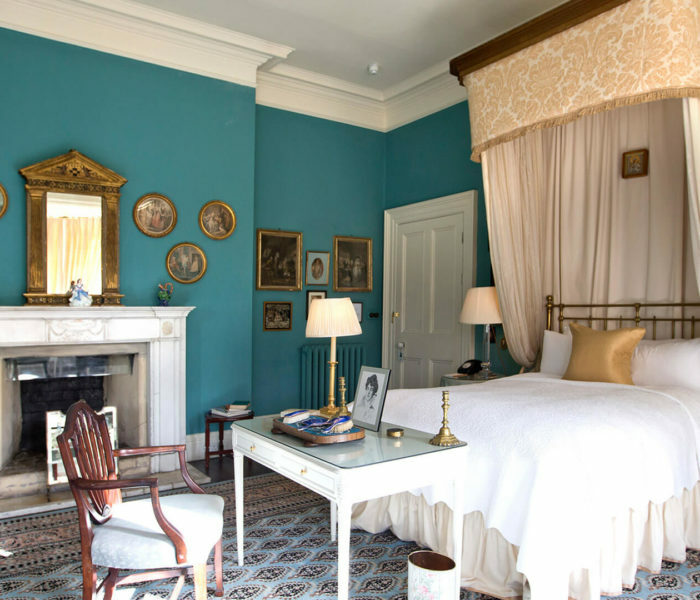 The Blue Room acquired its marvellous deep blue colour from Lady Leonie Leslie, before she later moved into the Mauve Room. Subsequently it was transformed to an 'Odeon cinema' style TV room, with suitably hideous colours and plastic seats, for Sammy Leslie and her little sister, Camilla. Desmond, as well as his stories, was always charming and larger than life. He stumbled his way through his education and finally ended up in Trinity College, Dublin. He later joined the Royal Air Force where he confessed to doing ‘very little indeed, bar drink tea and smoke cigarettes’! 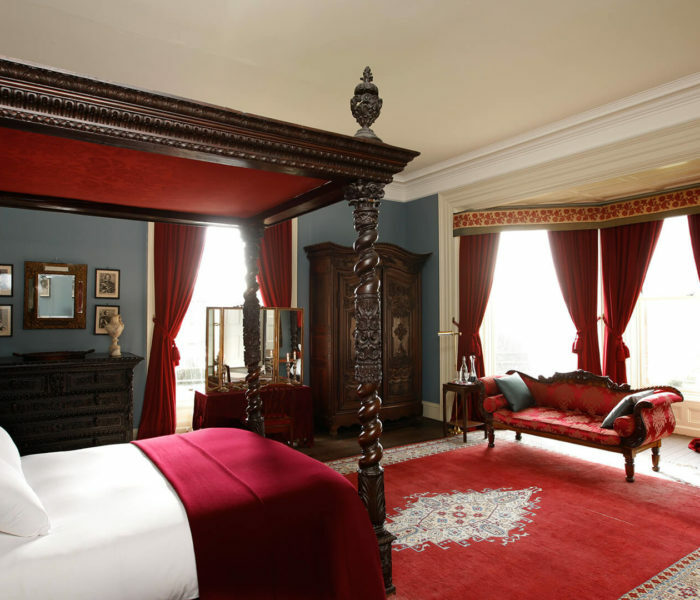 The Red Room has been at the centre of family life at Castle Leslie Estate for centuries - a doorway in and out of this life, so to speak. Anita Leslie King gave birth to her daughter Leonie in this room. 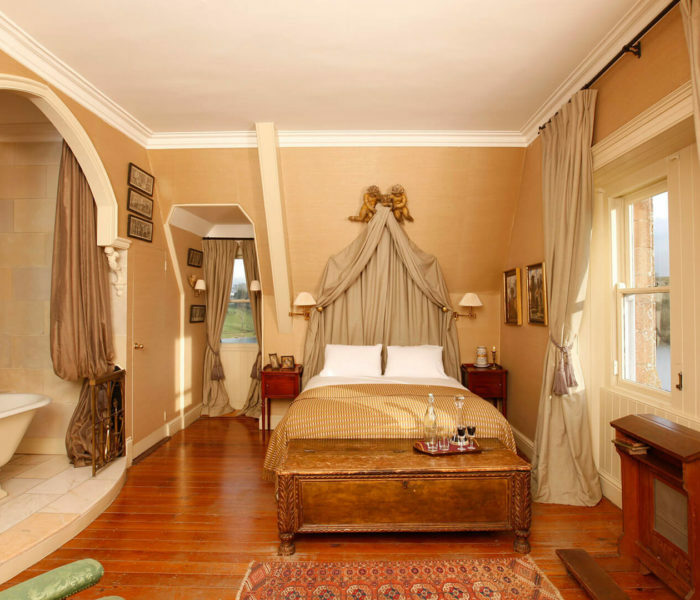 As the name suggests, this room is at one of the highest points of the house and has a wonderful balcony with sweeping views of the beautiful lake and gardens. When The Leslie children's aunt, Anne Cockran bought an enormous garden umbrella, they decided to use it as a parachute. Anita, Jack and Desmond were ready to launch themselves from the high balcony but were prevented in the nick of time. Shane (born John) was the eldest of the four Leslie sons of Sir John Leslie, 2nd Bt., and Leonie Jerome. 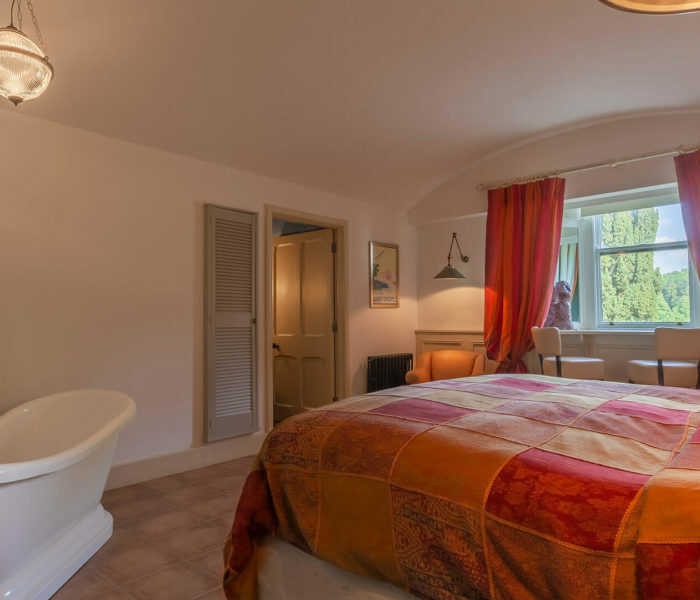 In this room, inspired by views of the lake, and many years before his grand-daughter Sammy designed and installed the great gothic bath, Shane wrote many of his best books and poems. The scenery which so inspired him has now resulted in Castle Leslie becoming one of the most popular hotels in Monaghan. 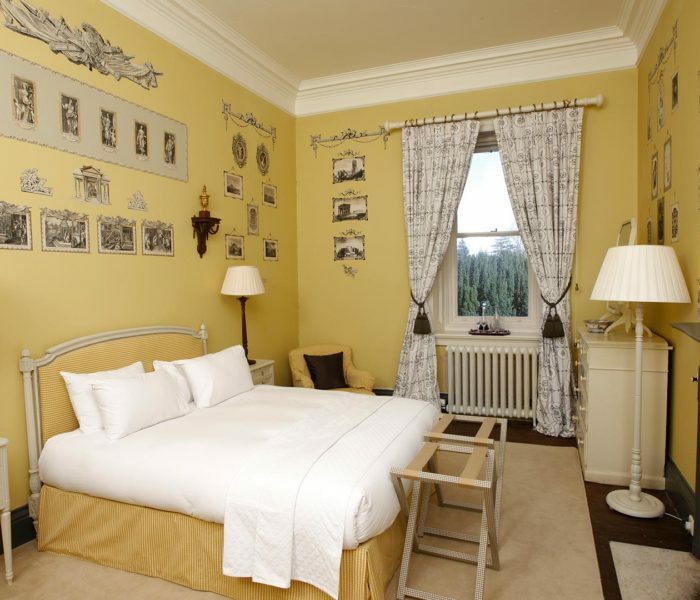 Formerly the 'second best guest room', the Chinese Room overlooks the front of Castle Leslie. The splendid views of the landscape make it clear why the estate is a popular choice among hotels in Monaghan. This room was often reserved for distinguished male guests, but was also a welcome refuge for sculptor Clare Sheridan, whose bust of Shane Leslie can be found on the top floor Nursery landing. 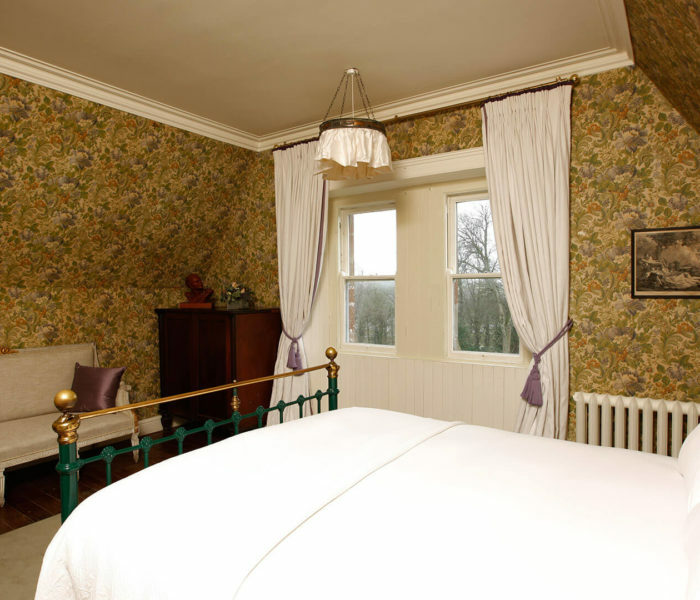 With its wide bay windows which showcase some of the best and most spectacular views of the Estate, looking onto the garden and Glaslough lake, the Green Room is a particularly friendly room that still boasts its original Victorian handmade wallpaper. 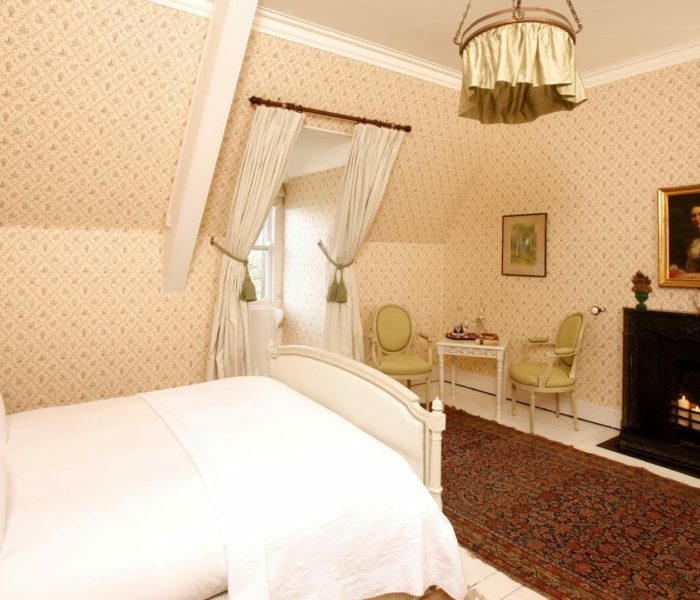 It is a bright sunlit romantic room draped in green with its own private bathroom situated next door to the bedroom. This used to be known as the Pink Room due to the colour it was painted. 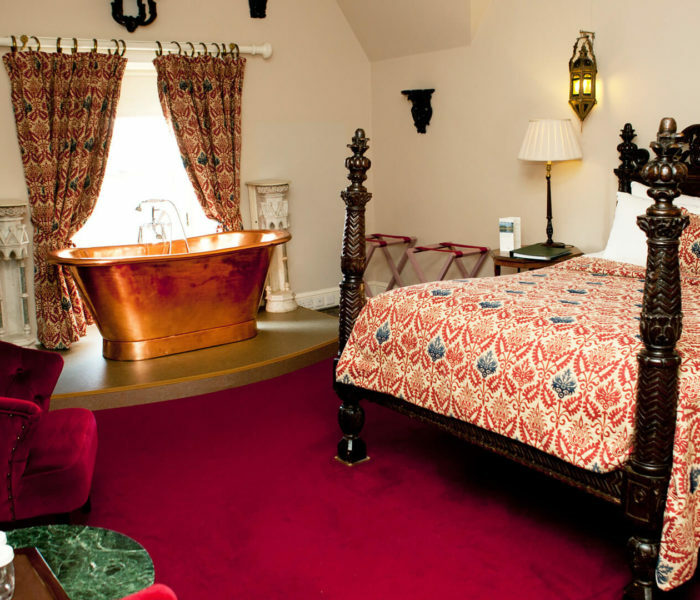 It's a cosy room in winter and was often used by Sir John Betjeman, the Poet Laureate, whenever he visited the Castle. 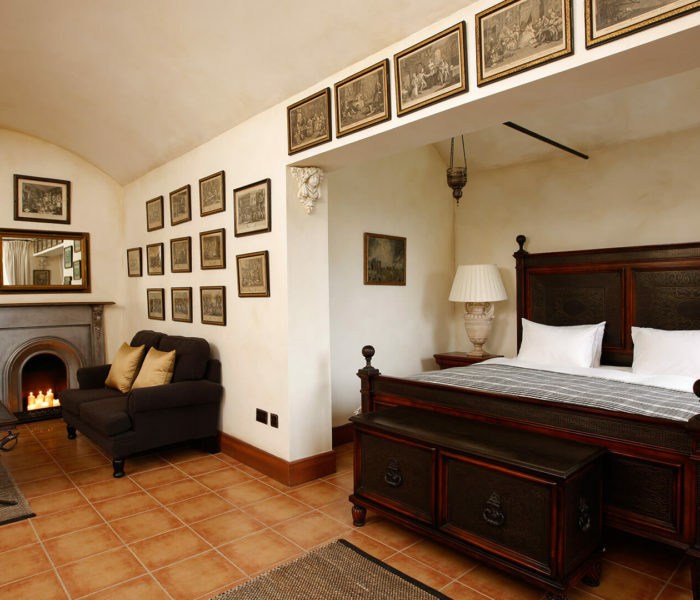 It has marvellous views of the front of the Castle and outdoor landscape. 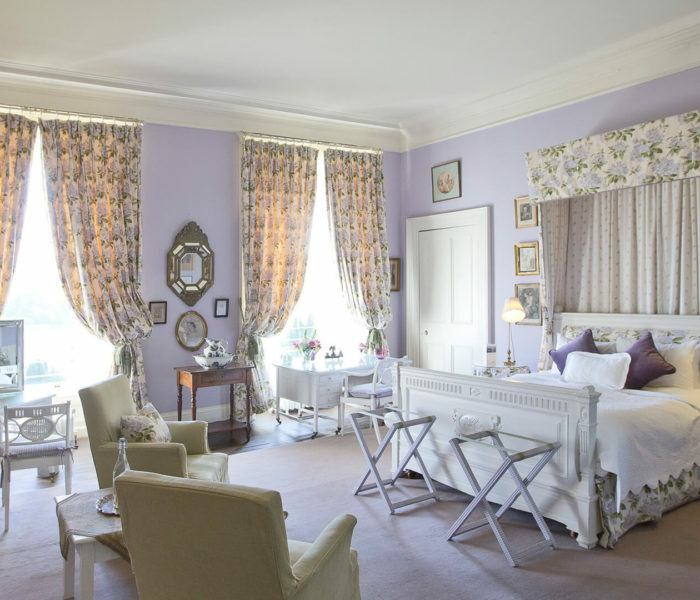 This bright and cheery room has been the happy headquarters for three generations of Castle Leslie children. The first Leslie children to use the Schoolroom can be seen today as the little carved heads over the pink stone arches of the entrance porch. The third of Sir John and Leonie Leslie's four sons, Seymour loved chinoiserie and the very latest inventions. The most social and romantic of the brothers, he suffered crippling tuberculosis as a child and spent his youth lying on his back. Guests will find Anita's pastel portrait hanging on the main stairs. 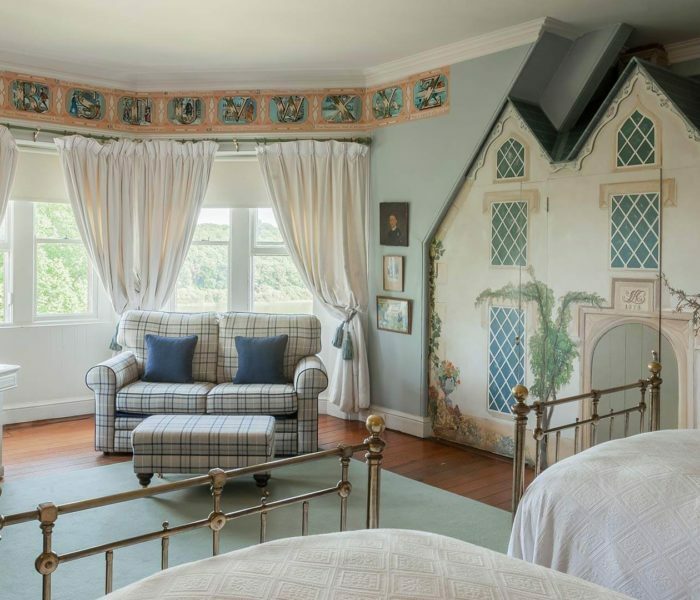 Anita’s Room offers stunning views of the magnificent trees to the front of Castle Leslie Estate that can be seen from the window. This stunning scenery demonstrates why the estate is one of the foremost Monaghan hotels. Sir John Norman Ide Leslie, 4th Bt. of Castle Leslie, Glaslough (1916-2016), affectionately known as ‘Uncle Jack’ by his family, was born in New York on 6 December 1916. He was the son of Sir John Randolph Shane Leslie, 3rd Bt., and Marjorie Ide, daughter of the American diplomat Henry Clay Ide, of Vermont, USA. He was a first cousin once removed of former British Prime Minister Sir Winston Churchill as his paternal grandmother, Leonie Jerome, and Churchill's mother, Lady Randolph Churchill (born Jennie Jerome), were sisters - the daughters of American financier Leonard Jerome. The Governess Room, with beautiful views of Glaslough lake, was ‘home’ to governesses, tutors, nannies and other such characters hired down through the years in an attempt to keep the children in check. Once the main housekeepers sitting room, the Room of Calm has invariably been used as an oasis of peace and welcome reprieve from the daily demands of the Castle. 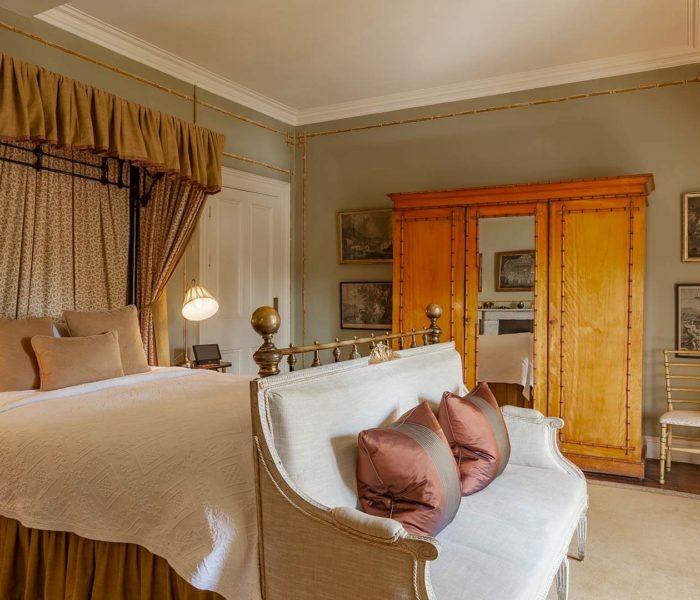 It also provides the perfect couple's destination, and has gained Castle Leslie a reputation as one of the most romantic hotels Ireland has to offer. 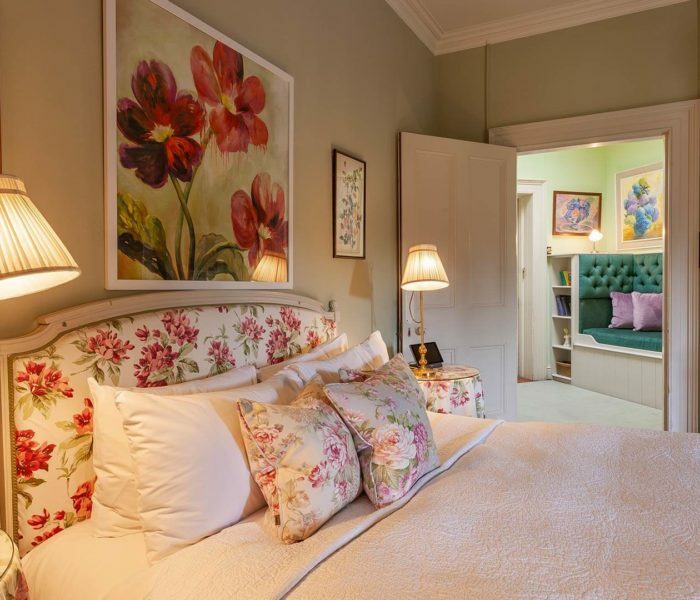 Norman's room is quaint with picturesque views of the gardens and lake. 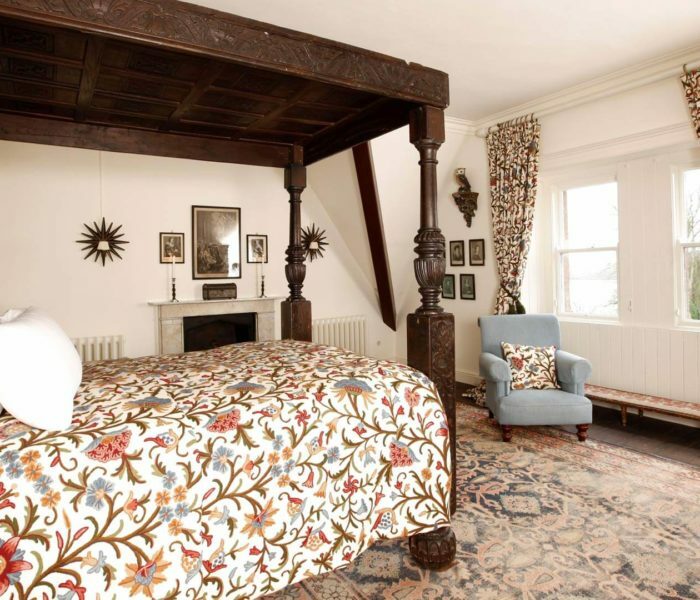 The bed dates to 1617 and once belonged to Clara Frewen, one of the Jerome sisters, from her home Brede Place in Sussex, lovingly restored by her in the late 1800s. Built in 1350, Brede Place once belonged to Sir Goddard Oxenbridge, a judge and court guard for King Henry VII. 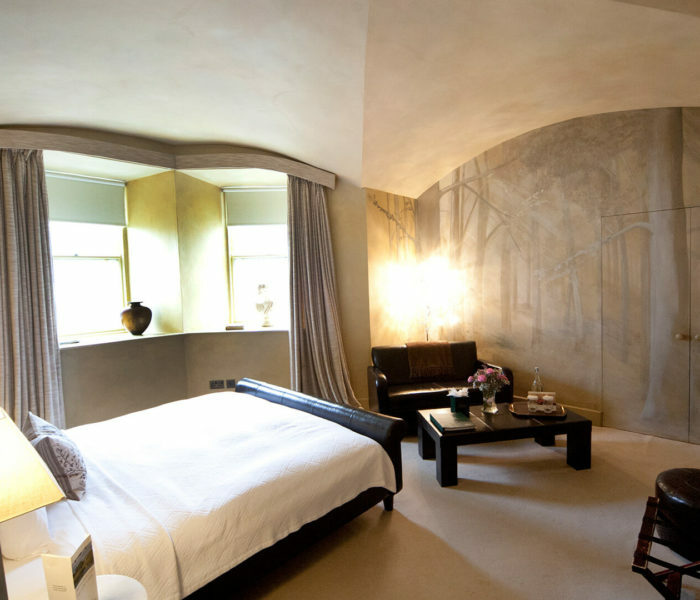 These luxurious settings make the room one of the best destinations for spa breaks Ireland has to offer. Helen Leslie (née Strong) mother to Sammy and Camilla Leslie, was brought up in the tiny village of Wilviliscombe, Somerset. She was a primary school teacher for a short time before heading off to Gibraltar where she made a living 'procuring' whiskey and 'kindly delivering' it across the Spanish border. Later, on a skiing holiday in Kitzbuhl, Austria she laid eyes on the devastatingly handsome and 'dangerous' Desmond Leslie. Helen was advised by a mutual friend to steer clear of Desmond, because he already had a ‘100 volt wife and an exotic mistress – so you’re allowed just to look’! Lionel Leslie was the youngest of four brothers, Shane Seymour, Norman and Lionel, sons of Sir John, 2nd Bt. and his wife Lady Leonie Leslie. Born in 1900, an avenue of oak trees was planted to commemorate his birth as well as the new century. Indeed, amazing views of the extensive trees to the front of the Castle can be seen from the window. 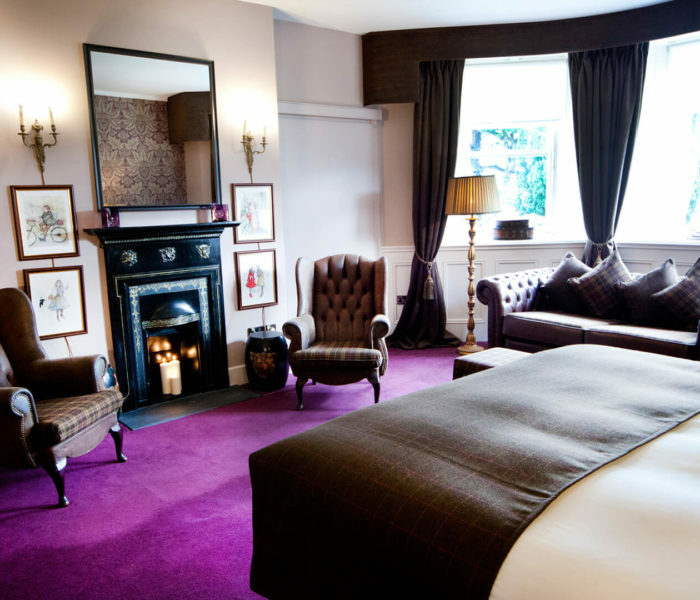 Birthdays, anniversaries, Christmas, Valentine’s Day or just because, treat someone special to a Gift Voucher. 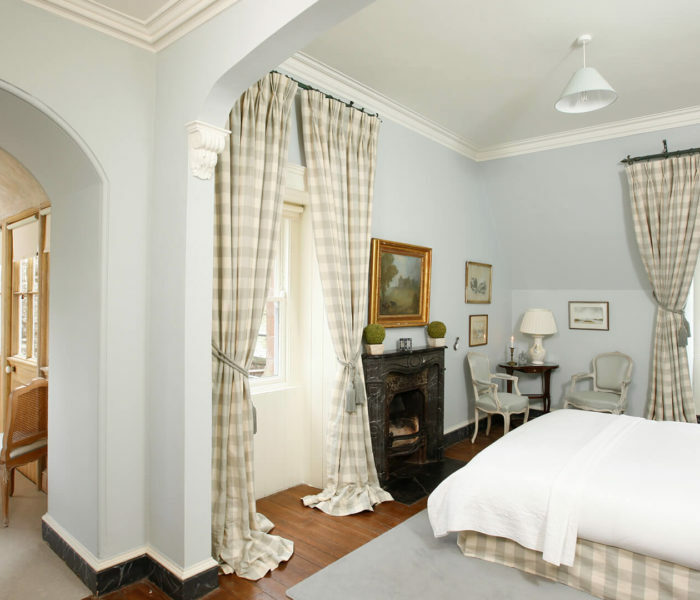 Sign up to receive exclusive deals and offers at Castle Leslie Estate. We promise to keep your email private.